Bentley Continental GT3 racer Seb Morris heads to Brands Hatch next weekend for the penultimate race of the British GT Championship season. Returning to UK soil following the overseas visit of British GT to Spa-Francorchamps in Belgium three weeks ago, where Welshman Morris and team-mate Rick Parfitt Jnr retained second position in the standings, the Team Parker Racing drivers are focused on closing the 12 point gap to the championship lead. Round nine next weekend reverts to the two-hour format and with the longer encounters tending to suit the multiple race winners, as well as the full-length GP track lending itself to the No.31 Bentley’s strengths, hopes are high of mounting a serious bid for podium silverware. 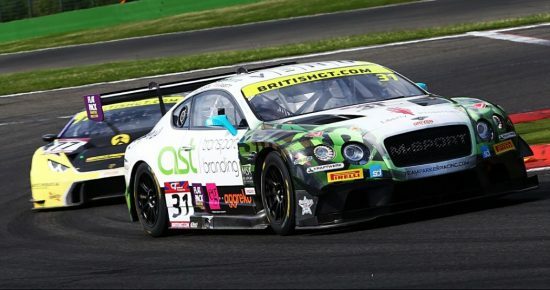 Last year at the GP track, Marford-based Morris and Parfitt Jnr secured pole position and went on to finish in second place in their maiden British GT outing so a repeat of that level of performance – or even more with race victory – would obviously be warmly welcomed. “It’s great to be back racing in the UK next weekend and Rick and I are as determined as ever to close down the Lamborghini guys in the championship”, said BRDC Superstar and MSA Team UK driver Morris.